HM Government of Gibraltar has issued a new £100 banknote, designed and printed byDe La Rue on its Safeguard® polymer substrate, to celebrate the 100th anniversary of the birth of Sir Joshua Hassan, Gibraltar’s first Chief Minister. 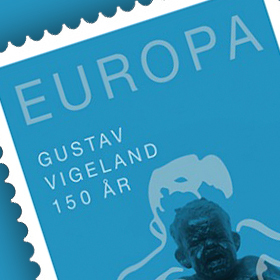 This banknote is the first in the world to have a holographic foil on Safeguard®. 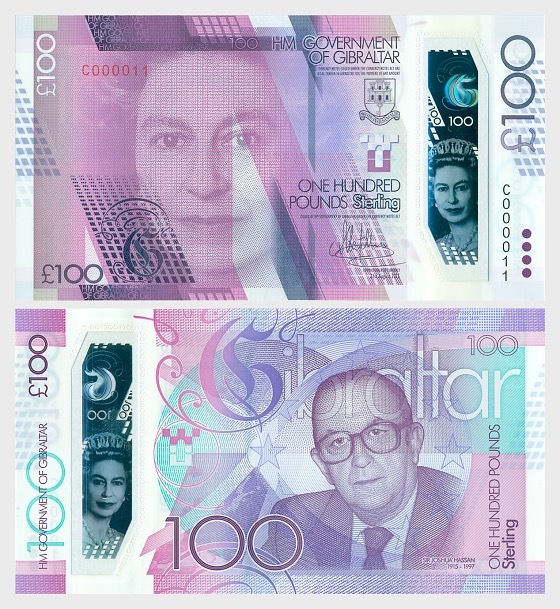 The overall note design is similar to the existing paper banknote but is printed on polymer with a large clear window showing a hologram of the Queen. 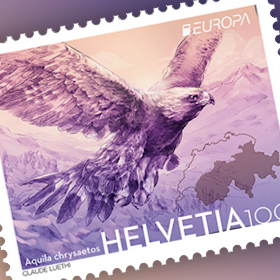 Using Advanced Image Plane (formerly Classical) holography, the Depth™ Image hologram on the note offers high levels of security against counterfeiting whilst simultaneously showcasing all the clarity, colour, movement and true depth achievable on a polymer substrate. The foil placed in the window is highly attractive, easy to authenticate and clearly visible from both sides of the note. Speaking at the launch, Chief Minister Fabian Picardo commented “We are proud to be issuing a £100 note which is at the cutting edge of banknote design and whose security features are second to none.